You mean to tell me that Microsoft knows about this craziness??!! In my job I quite often have to create presentations which include all types of charts. 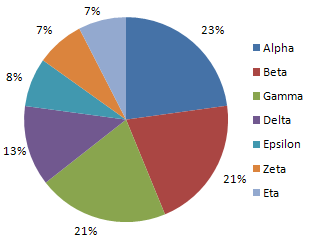 Recently I have been asked to incorporate the pie chart to present some information. I was left baffled as to why the pie chart would not calculate a total value of 100% when I came across this article! Thank Goodness I’m not crazy!! As for the algebric calculations, are you kidding me! Does Microsoft intend on fixing this mess!!! Whats the point of having it as an option if it will never do what you need it to do??!!! It seems to me that this incorrect labeling was done on purpose. It’s too detailed to have been done by accident. There are better ways to show pie chart data. One article you couls check out is Save the Pies for Dessert by Stephen Few. In the article he tells you what is wrong with pie charts, and he suggests alternatives. I know the directive to use pie charts probably came from your boss, but perhaps you could argue for a better display element. 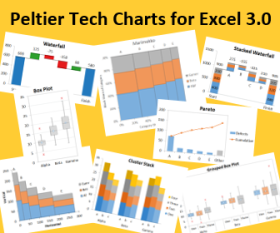 @ jon: For a long time I’ve found the output of all graphs in Excel to be a bit naff looking – my boss is asking on how to make them look more ‘professional’. I just came here through your comments over at the Excel blog and thought I’d ask. If by “more professional” you boss means shiny and glittery and all 3D, then this is not the place to find advice, because these visual effects make charts less effective at conveying information. If you want cleaner and more effective charts, a good place to start is 9 Steps to Simpler Chart Formatting. For specific details beyond this, you could try searching using the search box at the top of the right sidebar. Ben – That seems to have solved the problem. Now we just have to teach all those middle managers how to apply an Excel number format. Found this page in Google while looking for online pie charts. Now that Microsoft has announced that they will be releasing an online version in the next release, i wonder if we’ll be able to create all these charts online? For the time being, those in my situation looking for online charts, try the National Center for Education website or chartgo graph They’re both very pretty useful.